What is the minimum size of boat and crew? 12.19m (40’) length overall (LOA) with at least two people on board. How long will the rally take? Just over 15 months for the whole rally. 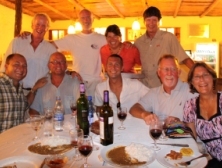 The longest passage is Galapagos to Hiva Oa which takes 15 to 22 days. When does the rally start? 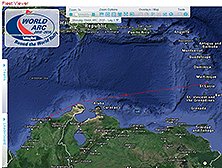 World ARC 2017-18 starts on 7 January 2017 in Rodney Bay, Saint Lucia. For more information go to Route & Itinerary. Can I start elsewhere? 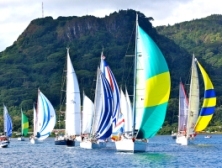 Boats can join the rally in Australia for the second half to Saint Lucia. Do I have to sail the whole way? No, you can join a half rally to Australia, or a half rally from Australia to Saint Lucia. You are welcome to join the next edition of the rally to complete your circumnavigation. Do I need an SSB radio? Yes, the daily radio nets take place on SSB. In addition, you must be able to send and receive email at sea with an SSB and a pactor modem, or a satellite telephone. Can I take my children? Families with children of all ages have sailed in World ARC, and all are very welcome. How do I find crew? Personal recommendations are the best way of finding crew, but you can also register free on Ocean Crew Link to look for crew or respond to adverts. The World ARC Facebook page is another good way to connect. How many people take part? 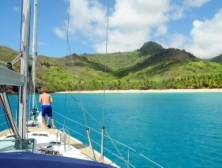 World ARC usually has around 30-40 boats in total, some sailing with couples, others with changing crew. There are usually over 200 people involved in the whole rally, and the age range will be 5 to 75. Crew come from over 20 nationalities. What about support on the rally? The same team will meet you in every official stopover, so you will get to know each other well. 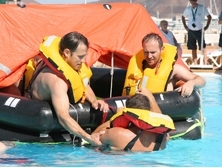 They will help with entry formalities, local contacts, docking, excursions, social activities and emergencies. 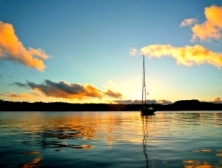 How can families at home stay in touch with the boats? All boats will be fitted with an Iridium satellite tracker, which will display the boats positions on the online Fleet Viewer. All boats can also blog for free on the rally website. Can I fly home without missing anything? 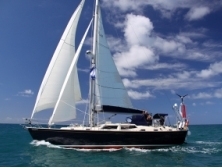 Combing a trip home with a free cruising period is a good idea. 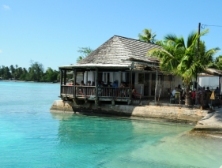 Some suggestions are Panama, Tahiti, Vanuatu, Australia, South Africa and Brazil.